There are so many perks that come with booking an Autumnal vacation along the Grand Strand. The weather is a bit cooler and less humid, the traffic is much more manageable, and the crowds are more sparse, making for an even more intimate experience in the Myrtle Beach area. Additionally, with the end of Summer vacation comes the onset of many enjoyable festivals that will take place throughout the area. 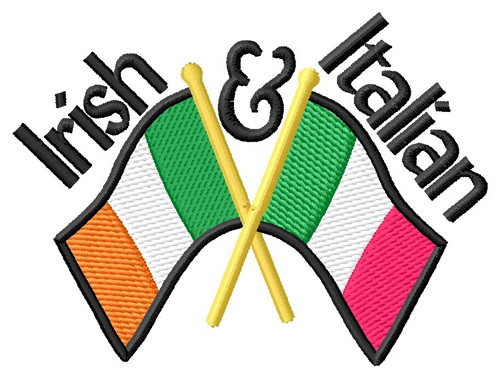 On Saturday, September 30, 2017, the city of North Myrtle Beach welcomes back the Irish Italian Festival for its 14th Year of food, fun, and festivities! From 10am to 4pm on September 30, spend the day along Main Street in North Myrtle Beach, where you'll find a host of vendors and temporary shops set up to celebrate the best of these two amazing cultures. This rain-or-shine event will tentatively host more than 15,000 guests, eager to take part in everything Italy and Ireland. You'll have the opportunity to try out scrumptious food and beverage items, and if you're confident enough, you can enter the Spaghetti Eating Contest! Sponsored by Villa Romana Restaurant, this contest calls for entrants to clear their plate of noodles and sauce without using their hands! The winner receives ultimate bragging rights, as well as a plaque of recognition designed by Coastal Engravers. Sign up for free between the hours of 10am and 1:45pm, as the event begins at 2:15pm on the Hillside Drive Stage. Beyond food, you'll enjoy two stages of LIVE entertainment as you are immersed in the Irish and Italian cultures. Street performers will keep you amused for hours, and dance groups will inspire you to bust a move of your own! Arts & Crafts vendors will be set up along Main Street, and these booths will all represent some type of International flair. Keep an eye out for impressive eats and decorations, as restaurants will compete for the titles of Best Entree, Best Decorated, and Best Dessert! Take a few hours out of your beach getaway and see what the Irish Italian Festival of North Myrtle Beach is all about. You'll be exposed to two distinctly unique cultures, each of which offer up delicious cuisine, fabulous music, and eclectic arts and crafts. Enjoy your time at the 14th Annual Irish Italian Festival on Main Street in North Myrtle Beach on September 30, 2017.